Looking to renew your contract for office cleaning Maida Vale? Make sure you get a quote from this W9 cleaning company. Running an office-based business can be stressful, time consuming and rewarding all at the same time. You want to push your business forward, to grow, to become something special. To do that it needs 100% of your focus. You don’t want that focus shifted by anything, let alone for something that you should be able to take for granted, like the cleanliness of your working environment. That is what we at Cleaners Maida Vale allow you to do – take our service for granted. Our W2 office cleaning service is professional, discreet and above all affordable. Call 020 8396 6104 today to see just how competitive our prices are. There is nothing worse than your cleaner Maida Vale interrupt you in the middle of a conference call, or having a team of duster-laden individuals invade your working space long before the day has finished. You may be an international business with lengthy working hours; you might only close on a Sunday. This is not a problem to this W9 office cleaning company – we work around your needs to provide a service to suit. If we have to clean through the night we clean through the night. If we have an hour window to get the job done we bring in extra people. Your requirements shape our service and every business will have its own needs, we are sympathetic of this and tailor a solution to suit. That’s the thing about a cleaning service – it is something you just want to happen with minimal fuss. Something you need to happen with minimal fuss. When you call 020 8396 6104 to speak to one of our customer service team we will set up an initial consultation to visit your office and assess the job in question. This allows us to see the premises and provide a comprehensive quote and that will be the last conversation we ever have to have. Once you choose this W2 office cleaner to carry out the work it will just happen, efficiently and discreetly. As standard we carry out a full office clean weekly, which will include a full dusting of all surfaces, waste disposal, cleaning of bathrooms and kitchen areas followed by a cleaning of all floors via hovering and/or mopping. If you have additional weekly requirements, such as confidential waste disposal or anything of such sorts, just let us know and we can add it into the schedule. We also offer bigger cleaning services W11 on an ad-hoc basis, and if you enter into a contract with us these will come at a discounted price. These services include professional carpet and Maida Vale upholstery cleaning, so if the sofa in your social area is looking a bit tired you just need to let us know and we can provide this as a one off service. Here at Cleaners Maida Vale we aim to enhance your business by taking one thing off your mind, allowing you to concentrate on what matters: your business. 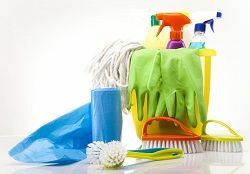 By providing a service that is professional and discreet, your staff will probably not even be aware that the office is cleaned on a regular basis, it just seems to stay in a perfect state! We may ask for feedback on a monthly basis to ensure that we are providing a service that satisfies and exceeds your expectations, and aim to continue to work in partnership with you to make sure your office is in tip top shape. So when you look to renew your W11 office cleaning Maida Vale contract look to further than this W9 cleaner service. Call 020 8396 6104 to book a consultation and obtain a free quote. If you find better, we promise to match it on price, but we know we provide a service that is unrivalled. Make the best choice for your business by calling us today.